This is a detail of the ‘Affenschlucht’ in Switzerland. Nobody knows if it is really 100% naturally formed. This waterfall or cascade was in 1802 the reason that textile manufacturers here opened a spinning mill. 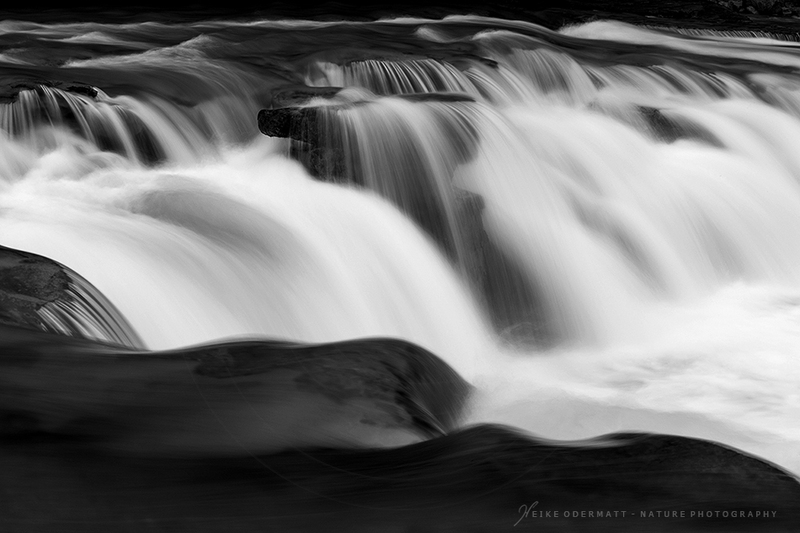 I made this image in black and white because of the nice contrast between the falling and the flowing water.